Need some help in getting a pair of wall-mounts for my RP - 502s speakers. I got a pair of mount options for R - 41M book-shelf speakers (to be used for rear surround) from amazon - but not sure, if the same would work for 502s. On Klipsch website, found about the SB-9 mounting bracket, but couldn't find in any store. Any suggestions about the better mount!!! Thanks. I'm kind of in the same situation as you. I want to wall mount my R-51M speakers and asked for help from the community. 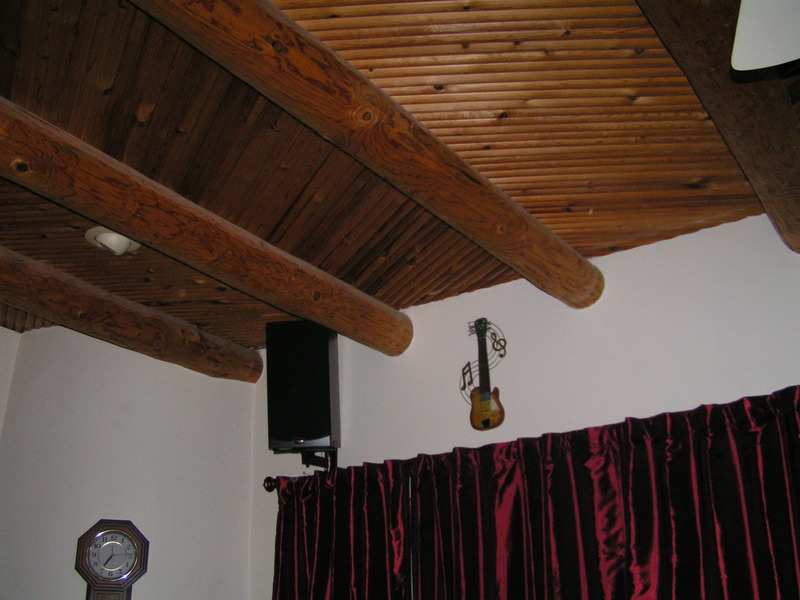 (See Wall Mounting R-51M Speakers? last entry 1/2/19) Like me, you seem to have researched as many wall mounting brackets as I did, and came up with the same options. Here's what I did and why. I went with https://www.amazon.com/VideoSecu-Clamping-Bookshelf-Surrounding-MS56B/dp/B000X9O8SI/ref=lp_297859_1_9?s=electronics&amp;ie=UTF8&amp;qid=1546793207&amp;sr=1-9 For several reason's to include almost 1300 reviews of the mounts and decent rating, solid construction, ability to clamp, screw, and strap the speaker to the mount, and lastly, it has a minimum width of 5.3", swivel 360 degs. tilt up to 10 degs, and hold up to 33 lbs (My 51s are 11lbs a piece) The other two mounting brackets hold up 55 and 66 lbs respectively. Which I felt was overkill. And for one reason or another, I didn't feel they fit my needs. Following this, as I’ve just bought a pair of RP-502S, and I’ve been trying to decide how to mount them. They are scheduled to arrive Monday. I'm not familiar with the OP's speakers but the 75s have a threaded insert on the bottom. I drilled a hole in the support plate of the mounts and utilized the inserts for extra security. The Omnimount models are great for Square speakers! I purchased some Blue Tack from Amazon and put that on the bottom and side contacts. It works wonderfully. However, with the 240s/250s and now the new 402s/502s series, they are triangular in shape. So the pinch points in this application are directly on the corner where the front grill resides. That may be fine if you are willing to ditch the grill, but my wife prefers my set up with grills on. I also prefer the option of grill on or off. Option B is to drill holes in the bottom to secure the speaker. Not my first choice having just spent 8 bills plus tax on a beautiful set of speakers! 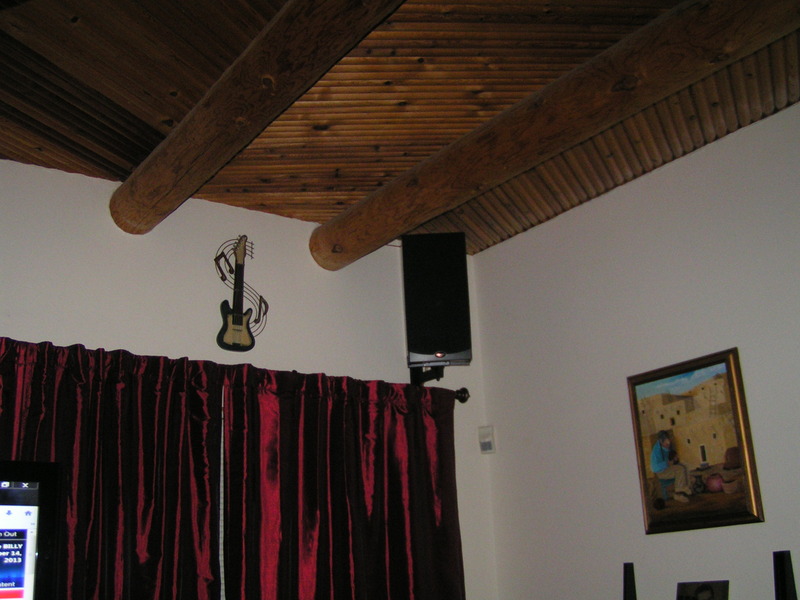 Like sanjeeb, I have done tireless research on angular mounting options for these speakers, and there seems to be no after market option. There are some mounts offered on the Klipsch website but good luck gaining access to that unless you are a dealer. I highly enjoy the all Klipsch timbre matched 7.2.4 system I have put together, in the last two years. But I am a bit disappointed at the lack of mounting options for their surround speakers. Barring in wall installation, there are a lot of consumers looking for OEM mounting hardware. I’ve mounted the RP502S, using their Keyhole mounts and Mollybolts rated for 60#. So far, two days in and they are still up. They probably need a safety backup just in case. I haven’t sorted a way to do that. Possibly use the threaded mount in some way? I used the omni mounts for the RP-502's and used the threaded mount near the bottom and added 4 small wood screws provided with the mounts for additional security.I did not want to drill the backs but I really dont think I will get rid of them anytime and if I do I will just flush mount the screws without the bracket and done. The 502's weigh around 16-17 lbs and the bracket into drywall with lag is rated above 40lbs. works fine. As far as a clamp mount I could not find one big enough.If I did I would gues it would be 100.00 ea and what did I save, 4 holes in the back of the speaker?Just my take on it. I have found the following mount that works great for the 502S and the 250S speaker. It does require drilling four mounting holes in the back of the cabinet at 1/2 inch deep. This depth does not protrude all the way thru the rear panel so there is not need to be concerned about hitting a wire, speaker of circuit board. These brackets are designed for the weight. I am interested in this. How is your setup holding? Since the 502S weighs less than 20 lbs i wanted to see if this works. They are still up, the keyhole mount is working perfectly. Absolutely no issues. As long as you properly affix the mollybolts this seems a secure mounting method. Thanks. I contacted Klipsch and they told me the same. Unless i want to tilt them the keyhole should work without any issues.